Despite being a first-class ticket, some of comics best end up riding coach. In Lest We Forget, I pluck a limbo-lingerer's need for a comeback. 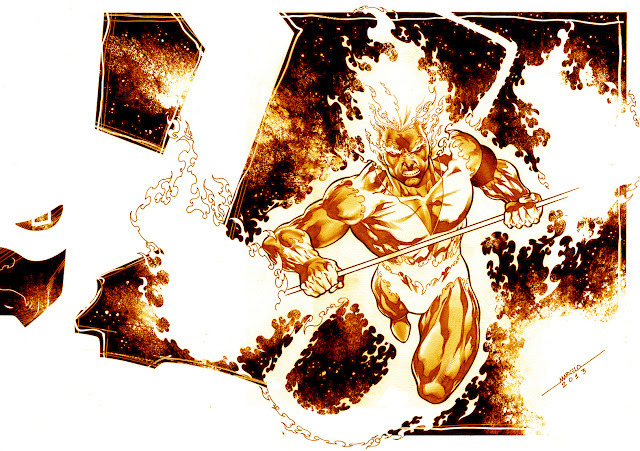 Today, it's Marvel's fiery former herald of Galactus, Firelord. Growing up in the slums of Xandar, Pyeus Kril worked his way up to be part of the planet's first line of defence, the Nova Corps. Attempting a suicide gambit to save his comrade and hero from Galactus, the tables are turned, and Firelord soon finds himself the latest Herald of the Devourer of Worlds. No other character has gone from the gutters to the stars through harder work or bravery. How can anyone that starred in the original Silver Surfer video game be looked over? Just look at him - he's all fire and fury - a living star. Not only was he a feature in the original Guardians of the Galaxy, and a founding member of the Galactic Guardians (making him a 'possible' to appear on Xandar in future GoTG movies), he wields a bo that Donatello would envy and is as versatile in fighting with the 'power cosmic' of his former master as he is at hand to hand combat. He's bestmates with the likes of fellow former heralds, Silver Surfer and Air-Walker - the latter whom he has had to revive from the gates of death more than once. He's also one of the only comic characters to hunt the murderer(s) of his homeworld more than once. Firstly, Nebula in the 90's, and then the Centurions post the annihilation wave. Now he simply leaves a fiery trail of revenge across the universe, and no one dare stand in his way. HOW I'D MAKE FIRELORD 'FLAME ON': Did you read that last paragraph? It's all there! Re-enacting revenge on a group of terrorists who genetically killed his people, as they flee across the stars. Is there any chance for the hero inside to survive - or remain untainted? 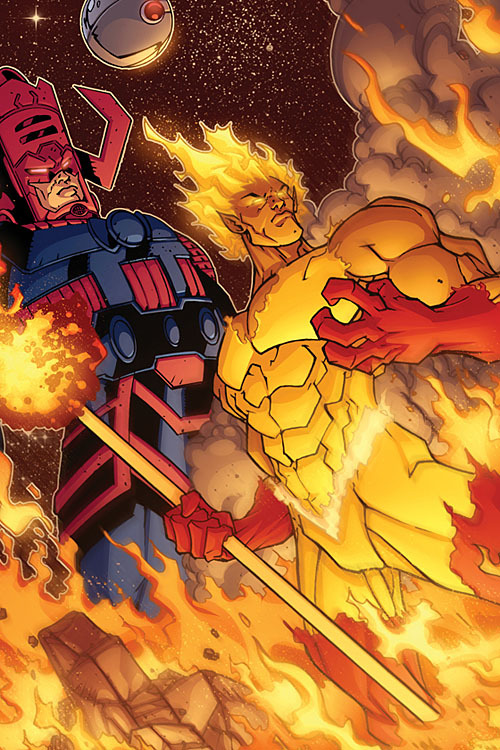 Can a former herald of Galactus cry foul at the extinction of a species? Save not before the fires of hatred lead him to Mephisto? With issues that relate to real world headlines, yet set in space in order to blur the analogy and embrace the cosmic, Firelord could easily be set to sizzle on a comic shelf near you.